Ready to run like a thoroughbred? Race week is here! Please read below for some VERY important information about packet pickup. ALL PARTICIPANTS MUST BRING A SIGNED EVENT WAIVER WITH THEM TO PACKET PICK-UP. Family and friends can pick up for other runners but they must bring a copy of the waiver. If you’re picking up for children under 18, no ID is needed. Race morning Registration and Packet Pick-Up will occur near the Gate 3 Start Line from 6:30 AM – 8:00 AM. Click here to view on Google Maps. We highly encourage runners to get there early and to carpool! Click here for a printable race info sheet. Parking: We are expecting 5,500 runners and walkers. Please arrive at least 1.5 hours before your expected start time. This will allow you time to park, warm up and pick up your registration materials if you didn’t pick them up on Friday. Please enter the parking areas from Gates 3, 5 or 8. Gate 8 will close at 7:45 AM. After 7:45 AM. please enter from Gate 3 or 5. Timing Chips: Your timing chip is on the back of your bib. Please do not fold your bib. All participants need to wear their bib in order to receive a medal at the finish line. 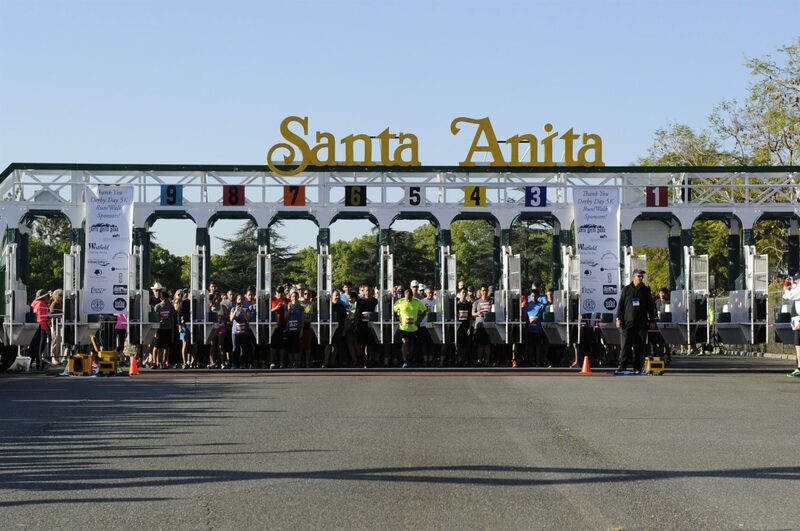 Wave Start: Participants will walk from their corrals into the official Starting Gate and run from the gate. Please line up behind the gate according to your anticipated pace per mile. Walkers & Strollers: We will have a separate corral for strollers and walkers. Please do not line up in the running corrals if you have a stroller or plan to walk. The course is very narrow in a variety of locations and we want everyone to be able to run. Strollers will NOT be able to pass through the starting gate. The gate is not wide enough. All strollers will need to walk around the gate and over the timing mat. T-shirt Pick Up: T-shirts and Goodie Bags will be available at the Registration area (near the start line) from 6:30 am until 8:30 am and in the infield near finish after 8:30 AM. Kids’ shirts will be available in the infield only. Shirt size is not a guarantee. Race Programs are available at the 5K T-shirt booth inside the Infield for Thoroughbred Members. Club House passes for a future Santa Anita Park are in the goodie bags when you pick up your t-shirts. Hold onto your bib numbers. You will need those to go in and out of the race track on Saturday. Kids’ Races: Kids’ races begin on the track. Registration for the Kids’ Races will be available in the infield from 9:00 AM – 9:50 AM. Please take the tunnel under the track to get to the infield. Get results via text message straight to your phone by signing up for Athlete Update here. Results will be posted in the adjacent to the finish line at our new results kiosks with laptops. Results will also be available online at DerbyDay5K.com. Post race party in the infield! Live music from Kelly’s Lot, fabulous food, over 20 vendor booths of all kinds and a beer garden! Must show ID to enter beer garden (Only 21 years and over allowed inside). Tell your friends and family that they can register on site on Friday and Saturday. THOROUGHBREDS Derby Day Hat Giveaway: You must be a THOROUGHBREDS member to receive the Derby Day hat. Not a THOROUGHBREDS Member? Bring your photo ID and you can sign up that day. To save time, please print and fill out the form at santaanita.com/tbreds. Join us in the infield for a post-race after party and expo! Kelly’s Lot will be jamming out. LA Galaxy will also be on hand with their inflatable soccer display and 93.1 Jack FM will be playing some tunes and giving away prizes! 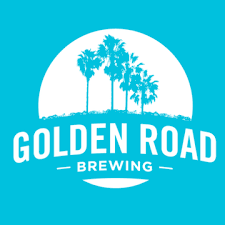 We also have a beer garden for all our participants 21+ featuring two beers from Golden Road Brewing. 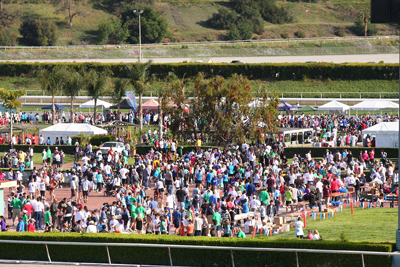 An Infield full of fun is coming to The Great Race Place on Santa Anita Derby weekend! Don’t miss out on this two-day event! With free parking and admission in our Infield, April 6th & 7th brings amazing twists and turns to Santa Anita Park during our Spring Carnival. This two-day event features inflatable bounce houses, carnival games and amazing rides. $15 Gets You an Unlimited Ride Wristband so you can enjoy the fun all day!